How To Take Better Care Of You In The New Year. It’s January. You might be saying, “Ugh.” Or you might be saying, “Praise Jesus!” All depends on what happened the previous year to either give you hope for moving on or angst of the inevitable. For adoptive parents, it’s probably both. We feel hope because our kids are older and maturing. But then there’s the fact that they are older and maturing…bringing bigger, more life-altering consequences. If you’re like me, because of the above struggle, I rarely if ever make the common New Year’s resolutions. Honestly, I don’t have time for that silliness. I only have time to survive is what I usually think. When life gets me down, I quit doing the things that make me OK either because of less time or because I get too depressed to press on with much outside the daily struggles. I stress eat. Haagen Dazs ice-cream is consumed on any given rough day after I put the kids to bed. And it is indeed the brand Haagen Dazs. I used to buy the cheap stuff and then had the taste of this goodness and don’t waste the calories on those lesser brands. I go big or not at all when it comes to my ice-cream. Not the suggested 1/2 cup serving either. That’s just stupid talk right there. And the Haagen Dazs is MINE. Kids get the cheap stuff. For whatever miraculous reason, this is the ONLY rule in our house the kids actually obey. I quit exercising. Exercise makes my body AND brain feel better. I become much more depressed when I don’t exercise. Which spirals me into #3. I have very vivid self-loathing thoughts. This can get pretty bad. Enough said on that. Take 5 minutes every day to do something for you. When I need a fresh outlook, I clean up the toes and give myself a pedicure. Sounds crazy to men I’m sure, but you ladies know it just makes us feel better. Sometimes I call a friend. This may take longer than 5 minutes, but it will be worth it. A good talk with a great friend pulls you out of the dark. And my go-to is to lock myself in the car and just sit in the quiet. This is something I do quite often. It’s the only place I’ve found the kids take longer to find me. They eventually do. But if all I get is 3 minutes, it’s sometimes enough. And I will still be eating my Haagen Dazs. Exercise. I went to college to be a personal trainer. True story. I never looked like the ones on TV or anything but fitness has become part of my lifestyle since then. I was never an athlete and therefore really have zero skill in this area, but I learned a ton about the body and how it works and found it quite fascinating which is why I will hammer this one more. Guys and gals, fitness is a MUST. If you make it part of your daily routine, you WILL find the time. Just like you brush your teeth as part of your daily routine (usually), you will find the time to exercise and stick to it. Routine is key. We NEED to stress the body. Sometimes I see ladies at the gym walking on a treadmill reading a book. This is not exercise. This burns more calories than sitting and reading for sure and actually shows more coordination than I have. But it is not exercise. In order for it to be exercise, you have to stress the body. That’s right! Stress is good for the body when there is a physical outlet. This is why video games are not good for our kids. It’s stresses the body without the physical outlet and then the body finds ways AFTER the video game to get the physical outlet. Bad combo. I usually run for exercise. I don’t always enjoy the actual run, but I do enjoy the feeling after. And my family appreciates having a happier mommy after I get my “Angry Birds” out, as we affectionately call it in our house. When I don’t exercise, I get even more angry or depressed and start the self-loathing thoughts all over again. My family NEEDS me to exercise. Try something new. This will take more time and thought (and maybe $). I recently heard a lady say she started taking voice lessons. This woman was probably in her 50s so she’s not going to be auditioning for this season’s American Idol. But this was something she wanted to do for herself. So she did. Just fabulous! I was inspired and challenged by this. So I got a mountain bike. And I’m determined to climb that mountain behind my house. Not for any other reason than for me to know I can do it and to be proud that I did do it. That’s reason enough. Let’s be resolute to take care of us this year. I don’t know what lies ahead for you or for me this year. Whatever it is, let’s not just survive this year, but thrive. Question: Have you decided to take back the New Year by taking better care of you? Share your story with us in the comment section below this post. You can leave a comment by clicking here. I love this book! 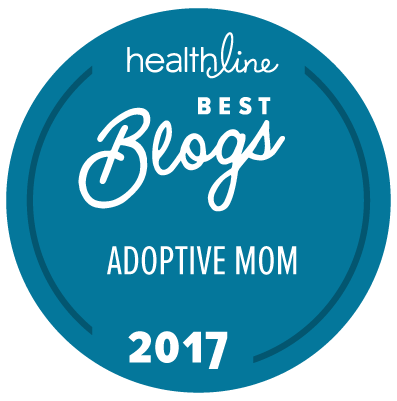 A wonderful resource for adoptive and foster parents…’ -Jenn (Ranter) Hook, founder of Replanted Ministry. Already listed as a #1 New Release in Adoption & Special Needs Parenting on Amazon, Mike Berry’s brand new book, Confessions Of An Adoptive Parent, is now available for pre-order! When you order your copy by February 6th, you get access to over $400 in free bonus content, including 2 video series, downloadable PDF guides, a ton of colorful images to share, and much more! Visit confessionsofanadoptiveparent.com/book to order your copy today!